Home / Benchmark / CPU / Hardware / intel / News / Core i7 3770K Vs i7 2600K Vs i7 3820 first Ivy Bridge Benchmarks ? 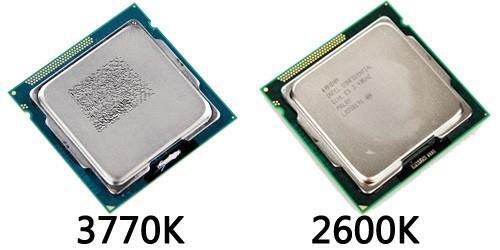 Core i7 3770K Vs i7 2600K Vs i7 3820 first Ivy Bridge Benchmarks ? 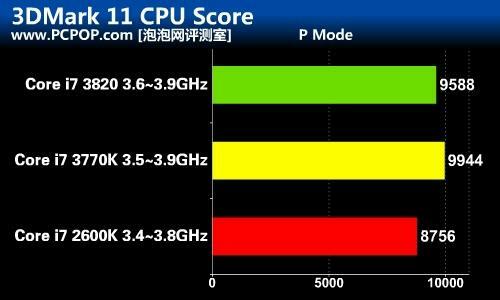 For me these benchmark results seems close to be true than a rumours, a Chinese website "mydrivers" just leaked a full review of the upcoming Intel's next generation of processor code named "Ivy Bridge" which is the third generation of Intel core i CPUs, using the for the first time in history the 22nm process technology. 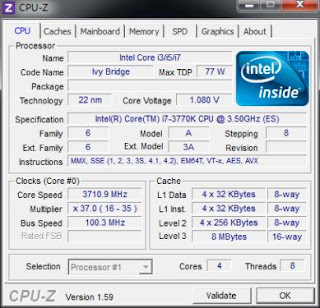 The review is about a performance segment CPU, the Intel Core i7-3770K, an Ivy Bridge desktop processor using the same number of core, threads, cache size and frequency as the core i7-2700K, running an normal speed of 3.5Ghz and can do 3.9Ghz at turbo mode, the i7 3770K pack four core and can handle eight threads, using 8MB of L3 cache memory, require ~77W at full load, the integrated graphics is an Intel HD4000 which is DirectX11 capable GPU core speed is running @650 MHz and 1100Mhz on turbo or when on heavy 3D application. The Core i7-3770K overall performance is 7.6% faster than the current Sandy Bridge 32nm Intel core i7 2600K processor and 3.16% faster than the Sandy Bridge-E Intel core i7-3820, for the GPU performance, the i7-3770 grraphic score on 3D Mark is 26527Mark, 24387Mark for the i7-8820 and 23203Mark for the i7-2700K, bellow some pictures courtesy mydrivers.com. If you want to check the full review page go here.